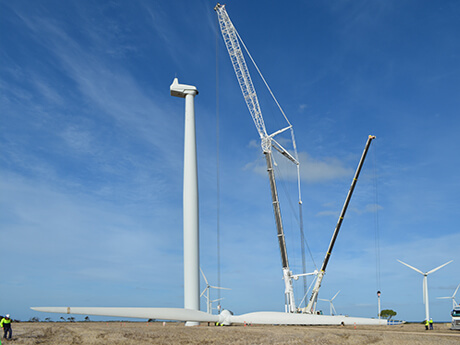 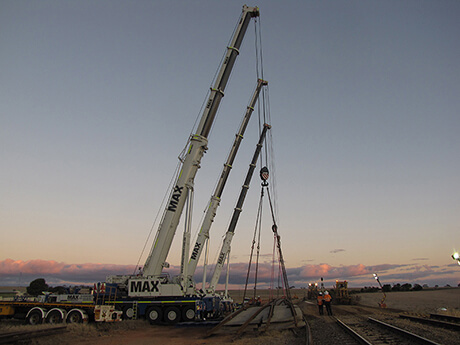 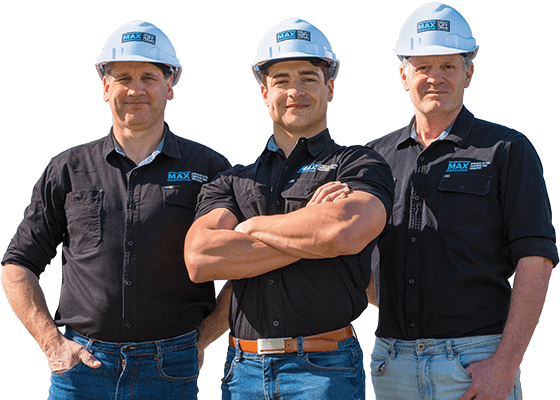 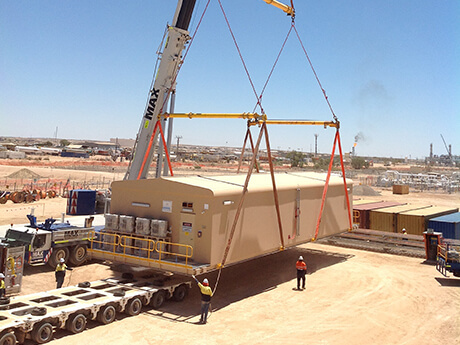 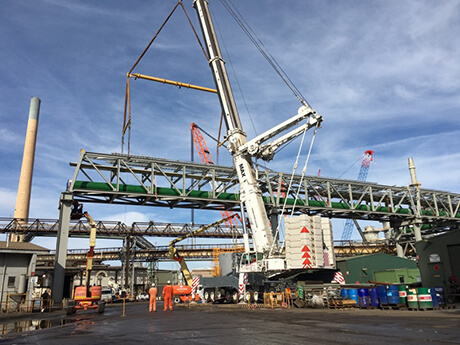 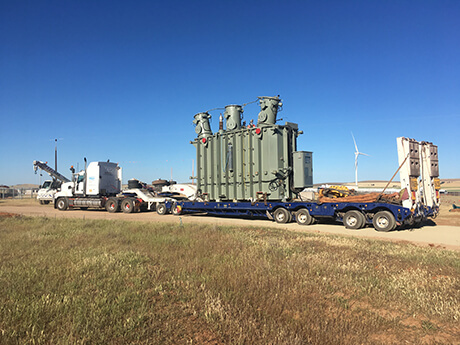 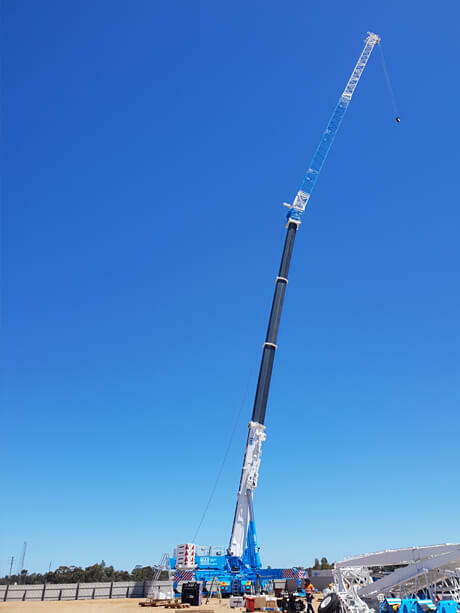 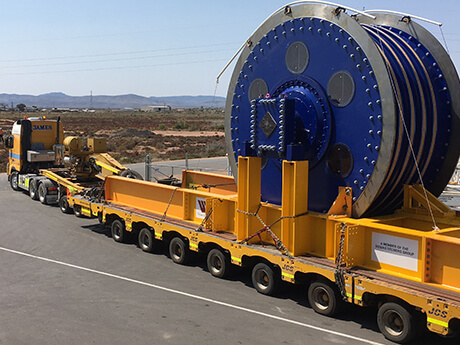 The skilled local heavy lift team behind the largest mobile crane in Australia with specialist lifting in any capacity, in any sector and unparalleled capability for construction, maintenance and heavy lifting activities. 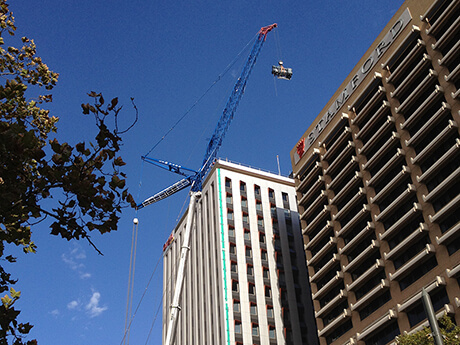 Placement of Cogeneration Plant, Adelaide CBD. 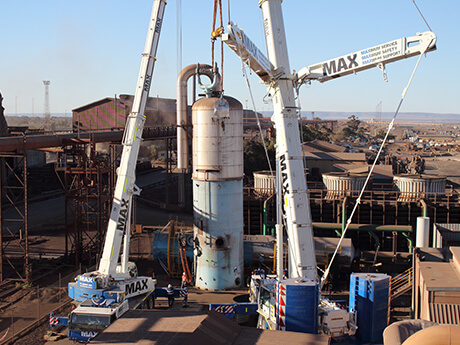 Direct Cooler Vessel Removal & Replacement. 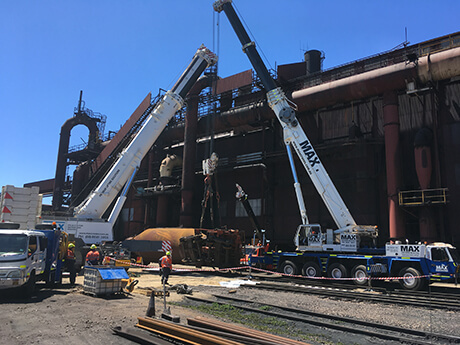 Derailed Wagon at Liberty Onesteel. 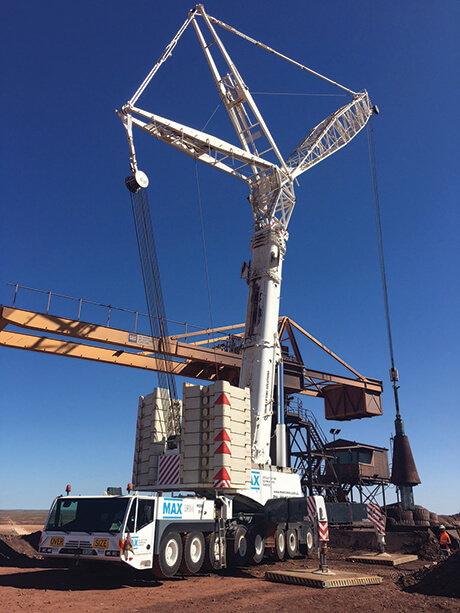 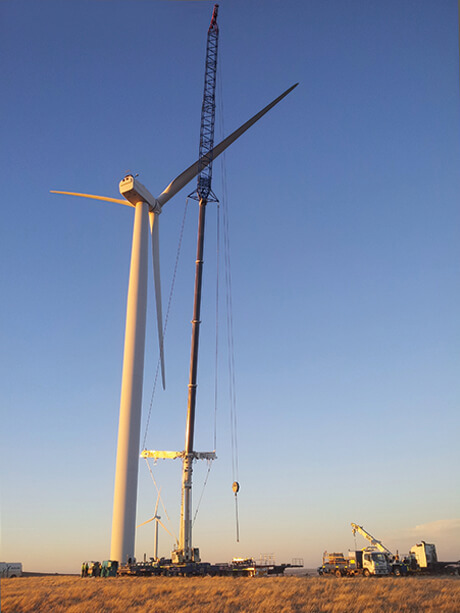 Triple Crane Lift, Crystal Brook Turnout.